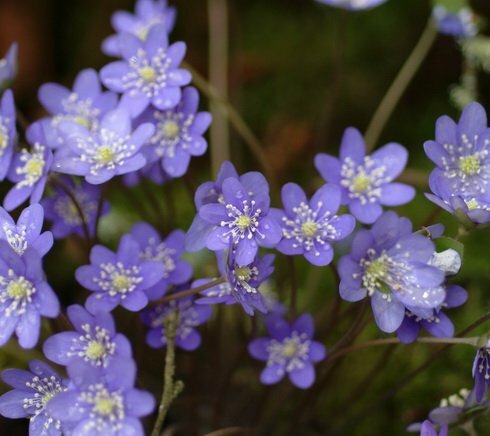 An exceptionally dwarf hybrid with deep green kidney-shaped leaves and rich blue flowers. A highly attractive evergreen perennial with kidney shaped deep green leaves having three lobes. These are borne usually after the flowers which rise first in early spring, usually around mid march. The flowers are variable on the species as a whole as they are normally raised from seed. The plants we offer here are vegetative divisions from a very dwarf selected form and will have one or two growing points, the colour being a good blue as in the photo. A very much dwarf selection.